I've had a bee in my bonnet just recently. You see, a while back, I came across an eye catching ceiling pendant in a local homewares shop that I was really taken with. 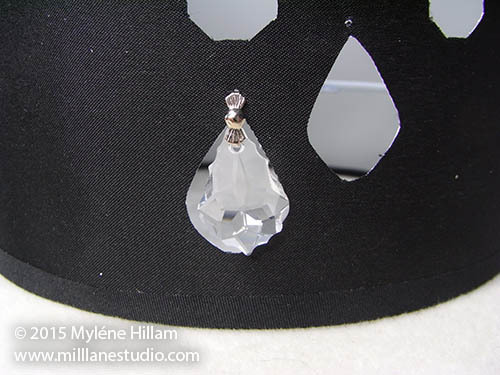 It was a simple black shade studded with chandelier crystals that sit suspended in little cutouts, allowing the light to glisten through the crystals. All I could think was how PERFECT it would be in my studio.......... and I really wanted it. If only it weren't a ceiling pendant! I didn't end up buying that light fitting (althought I am still tempted) but it did inspire me to recreate the look in a more practical and compact table lamp that will glisten and gleam and be just as sparkly, if not more! 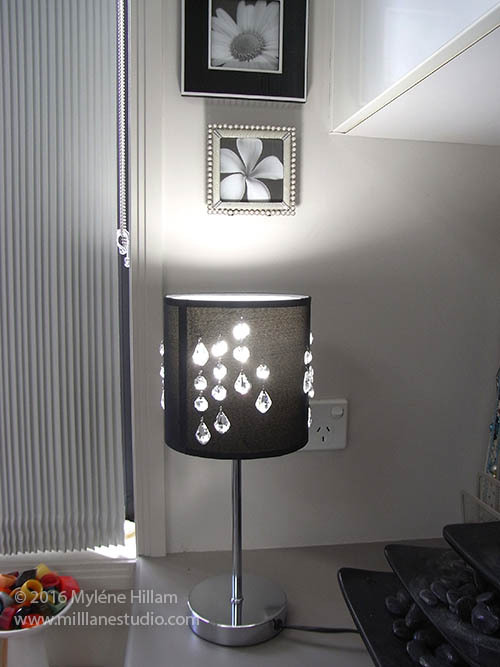 All it takes to create your own dazzling sparkle-icious lamp is an inexpensive black lamp with a chrome base....... and as many Swarovski crystals as your heart desires (or your budget allows). Your choice of crystals. 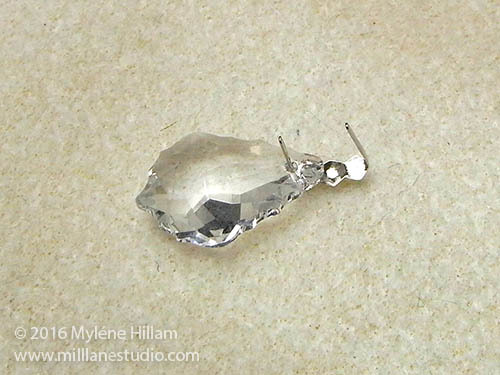 I've used thirteen 22mm Swarovski Baroque pendants and twelve each of 12mm and 14mm octagonal glass crystals (one hole) . 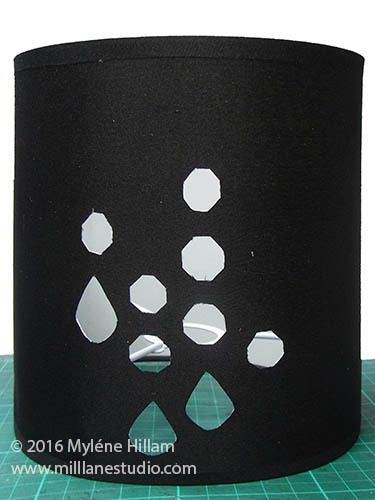 16x16cm black drum lamp shade (my lamp stands 38cm tall with its chrome base). Tip: this effect works best on a cylinder shade rather than a conical shade. 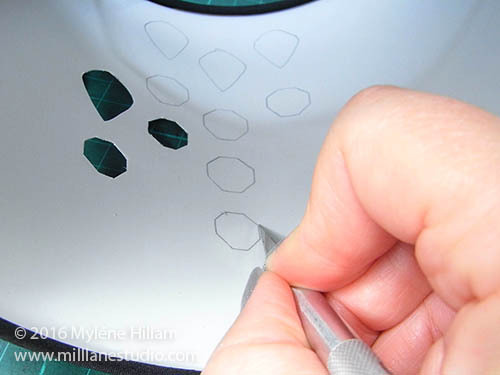 Create a template for the crystals by tracing around them onto the transparency film. 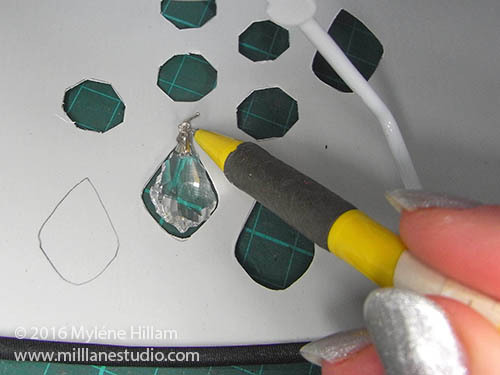 Cut out the shapes with the craft knife and then test the crystals for fit. They should just fit inside. 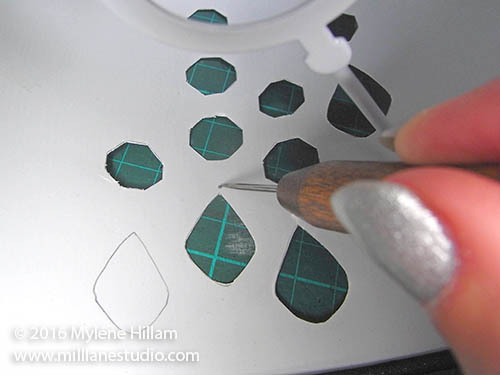 Trace the template onto the inside of the lampshade. 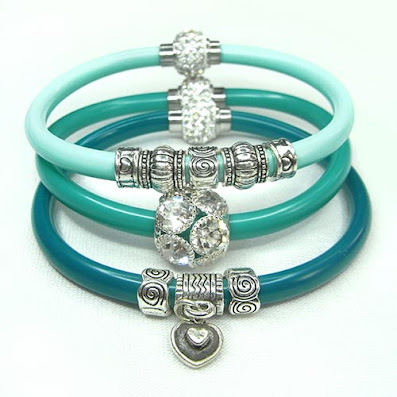 Vary the position and order of the crystals to suit your taste. 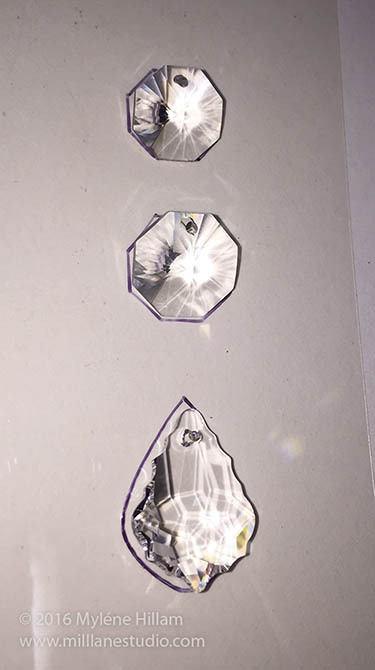 Make sure when you are tracing the shapes that you allow enough gap below each crystal to hang the top of the bowtie of the crystal below it. Cut each of the shapes out carefully with the knife. I divided my shade into four sections and made each one different. This is just one section. 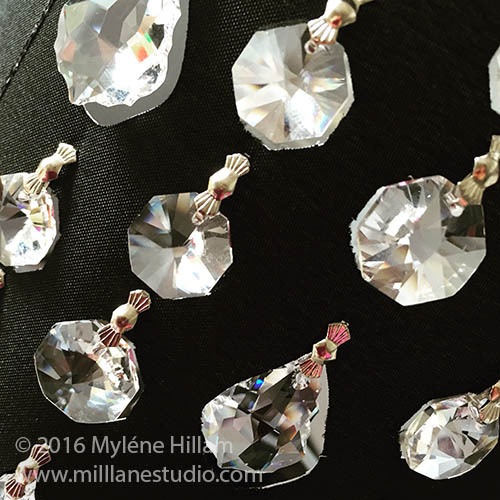 Insert the prong of a bowtie through each crystal. 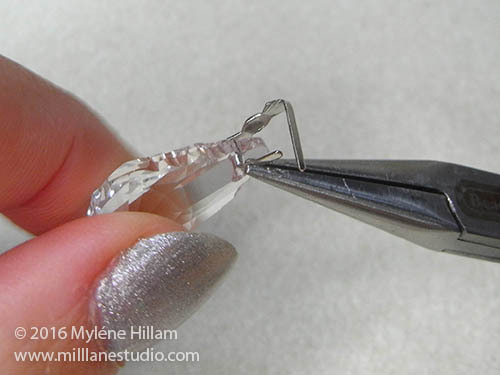 Hold the prong with the chain nose pliers and gently bend it upwards, taking care not to chip the crystal. Bend the pin towards the centre of the bowtie so the crystal is secure. 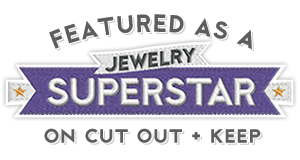 Place the crystal in a corresponding cut out and mark the position of the top prong. Mark the hole with the needle tool and then turn the lamp shade over, locate the hole and pierce it completely from the front. 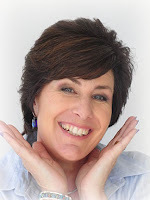 Insert the second prong into the hole and using your fingers, bend it flush against the inside of the shade. Attach all the crystals in the same way. Once you've finished, reassemble the lamp, switch it on and enjoy! Even without light glistening through the crystals, the lampshade is still striking! 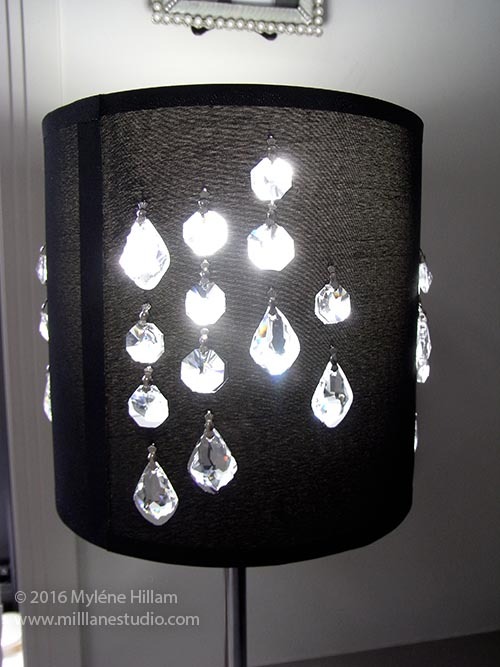 If your budget won't stretch as far as Swarovski crystals, you can use glass crystals for a less expensive version but for the absolute sparkliest sparkle, you just can't go past Swarovskis to make this eye catching lamp shade.